» Can Cats Eat Pretzels? Many pet-parents are on the lookout for ways to bring variety to their cat’s meals. Though not as good for people as a carrot stick, pretzels are considered one of the healthier snack foods available. While pretzels may be a decent snack option for people, are they actually good for your cat to eat? Can cats eat pretzels? Pretzels are a baked bread product made from dough, usually twisted into the shape of a knot. Several types are common, including hard and soft pretzels, with a variety of seasonings, though salt-covered are most popular. Their exact origin is elusive, but it’s thought that pretzels originated in northern Europe during the middle ages. Illustrations of pretzels are found in manuscripts dating from as early as the 12th century. Cats may not be too interested in history, but, as the following video shows, some are very interested in pretzels. Yes, your cat can eat pretzels! Pretzels can be a tasty and fun treat for your cat, if your cat is interested in them. Just remember that too many pretzels can make your cat fat. Instead of risking all of the of the health problems obesity brings, make sure your cat gets the bulk of their nutrition from a high-quality cat food like Blue Wilderness. Kittens grow fast and it’s especially important they have a balanced diet. This ensures they get the nutrients they need to develop into healthy adults. .While pretzels don’t contain anything toxic to kittens, eating too many low-nutrient pretzels will deprive them of what they really need to grow. 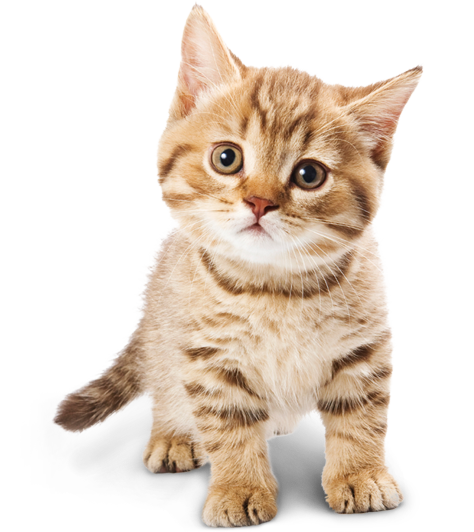 Instead of pretzels, give your kitten a healthy kitten food like Blue Wilderness kitten food. This type of food has everything your kitten needs, without a lot of empty calories that can make them fat. 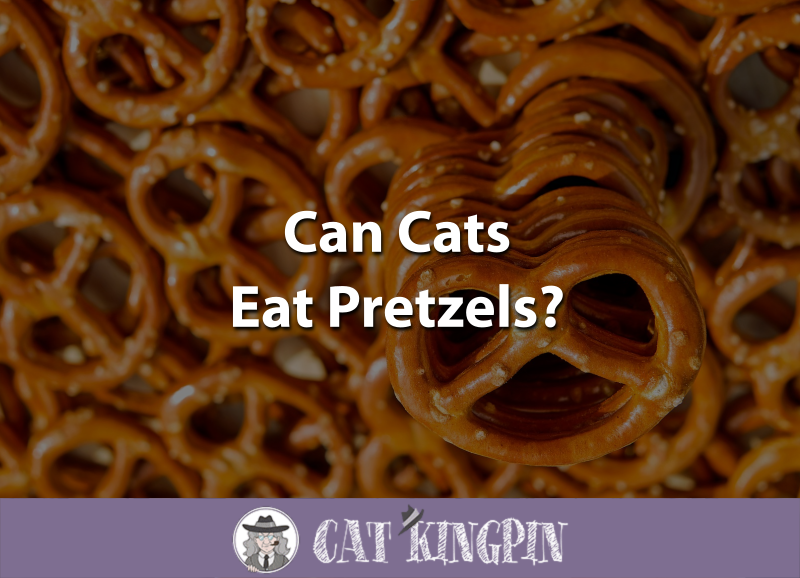 While pretzels are a pretty safe snack for your cat, they won’t really benefit nutritionally from eating them. This is because cats are obligate carnivores. All they really need to eat is meat. The main problem with cats eating people “junk food” is that too many too often will make them fat. However, as far as people snacks go, pretzels are much healthier for than ordinary potato chips. Pretzels contain about two-thirds the calories of regular potato chips, with each 2-ounce portion of pretzels containing 218 calories. Compare that to the 307 calories in an equivalent portion of potato chips. Additionally, a serving of potato chips has around 21 grams of fat, compared to just 2 grams of fat in pretzels. One area where potato chips do win nutritionally over pretzels is in salt content. A serving of pretzels contains 652 milligrams of sodium compared to 255 milligrams in potato chips. In humans, there’s quite a bit of evidence linking increased sodium consumption to hypertension as well as cardiac and renal diseases. However, in cats, a 2-year study failed to show that increases in dietary salt intake were harmful to a cat’s renal function or raised their blood pressure. This doesn’t mean that eating salty pretzels would be good for cats. It just indicates that their bodies are more tolerant of sodium than ours. Cats have kidneys that are much more efficient at concentrating and excreting salt in their urine. A study from many years ago showed that cats given only salt water not only survived, but actually thrived. The verdict is still out on whether high-salt diets are detrimental to cats who already have kidney or renal disease. If your cat does have renal disease, follow your vet’s advice. It will probably include a recommendation that your cat not eat pretzels. Having a pretzel once in a blue moon won’t harm your cat. Just don’t let their pretzel consumption get in the way of a healthy diet. There are many healthy alternatives to feeding your cat pretzels. For cats that like a little more variety, there’s Sheba cat sticks that come in chicken, tuna, beef, and salmon flavors. They’ll keep things interesting for your feline friend. In general, it’s best to stick with giving your feline companion a high-quality cat food like Blue Wilderness. It’s grain-free and is primarily made with meat. So, can cats eat pretzels? Cats can eat pretzels! However, it’s best to give it as a special treat and in limited quantities. While pretzels can be fun, they are pretty poor nutritionally for cats. Make sure your cat gets the bulk of their diet from a high-quality, meat-based cat food, such as Wellness or Taste of the Wild. What did you think of this post? If you have any questions or would like to share a story about your cat and a healthy snack they really enjoy, please tell us in the comments below! We’d love to hear from you.